The process of cleaning and restoring fine rugs requires a level of expertise and knowledge that takes years to achieve. We have extensive training in Oriental and specialty rug construction and cleaning methods for rugs from all over the world. As a result, we have earned our Master Rug Cleaner certification. 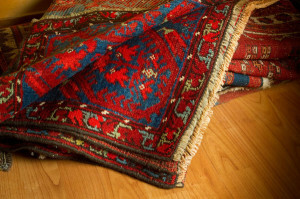 We will pick up and deliver your rug and provide the best care possible. Contact us to schedule a consultation.